The Black Steel Log Station is the epitome of durable and strong. If you're looking for something that can accommodate all of the logs you have, this station can work extremely well. It's suitable for people who wish to prepare logs of all types for burning purposes. People who purchase the Black Steel Log Station do not have to worry at all about securing tools. That's because it's equipped with them. This product is accessible for sale in black exclusively. It's relatively compact and can fit in effortlessly in residential spaces of all kinds and sizes. The station is 38 inches in height. The Black Steel Log Station was constructed with the most resilient materials around. It was constructed with the assistance of the finest materials, period. Since it has an elegant black colour, it can blend in beautifully in residential design schemes of all varieties. It doesn't matter if your living room is rustic in atmosphere. It doesn't matter if it's decidedly more modern, either. The Black Steel Log Station should be able to highlight it. If you have a wood-burning stove in your home, this station may be able to make your smile. 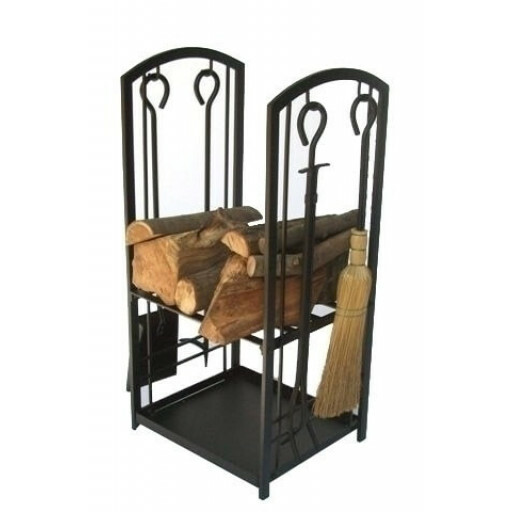 People who want to invest in log holders and racks that are the ideal combination of attractive and functional can get a lot out of the assistance of this product. I was after a black steel log station for holding my logs for my woodburning stove and went to the fireplace warehouse store in Burnley and found the exact style that I was after and able to take it away with me the same day.